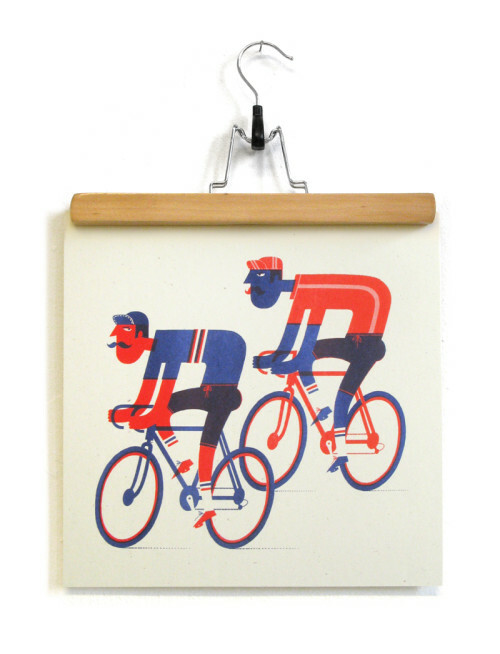 Home / Shop / Prints / Posters / Stop! Tea Time! 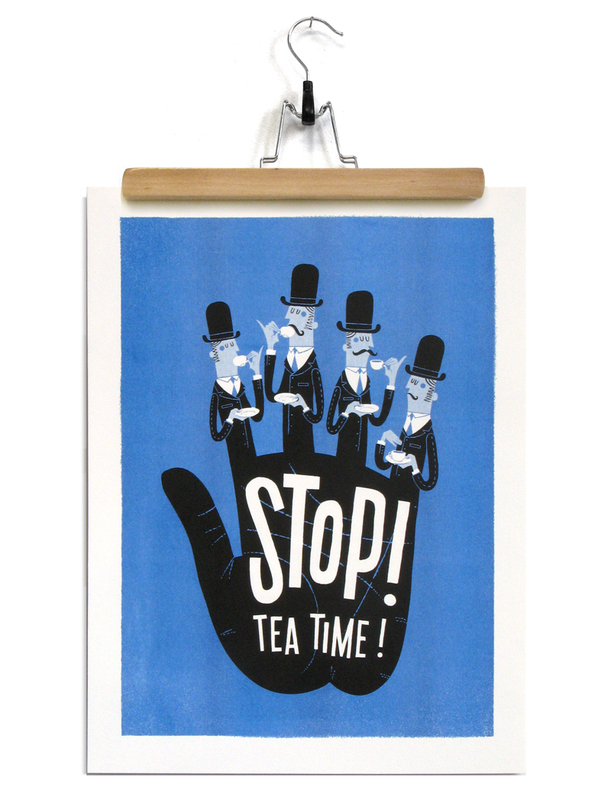 These classic tea drinking gents are now available again as an A3 sized riso print! Limited edition of 64 signed and numbered prints. Duotone, riso printed by Knust. 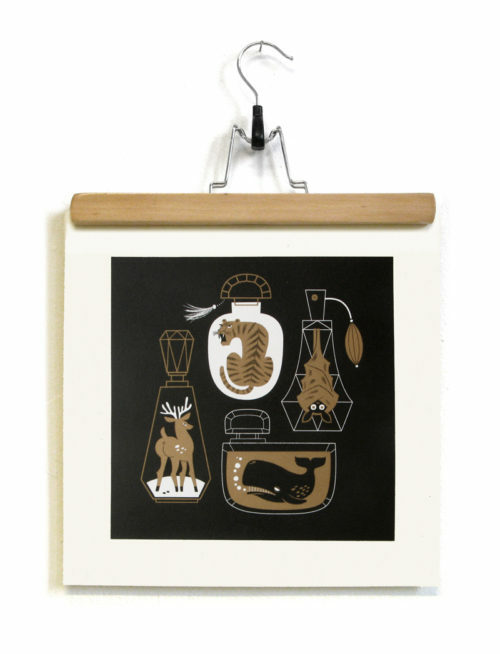 You are visiting our tiny shop featuring lovingly crafted illustrated goods. 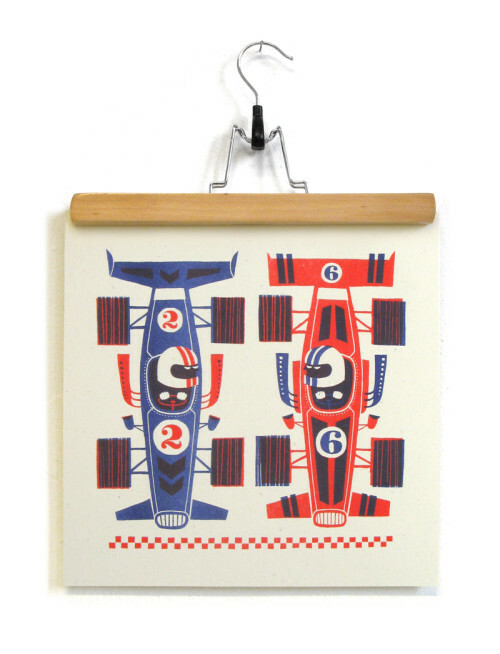 Most prints are limited edition, created with small press techniques like Riso, screenprint and letterpress. We use PayPal to process your order. Shipping rates vary according to size and destination. Orders ship from the Netherlands twice a week. Score! 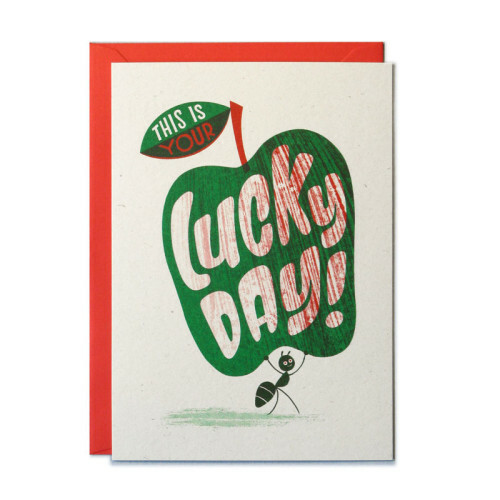 Risograph printed greeting card with matching envelope. Tour de France inspired duotone duel. Printed with Risograph. Limited edition of 48, signed and numbered. Formule 1 inspired duotone duel. Printed with Risograph. Limited edition of 48, signed and numbered. For all the perfume lovers and fragheads. Black and gold, printed with Risograph. Limited edition of 48, signed and numbered. 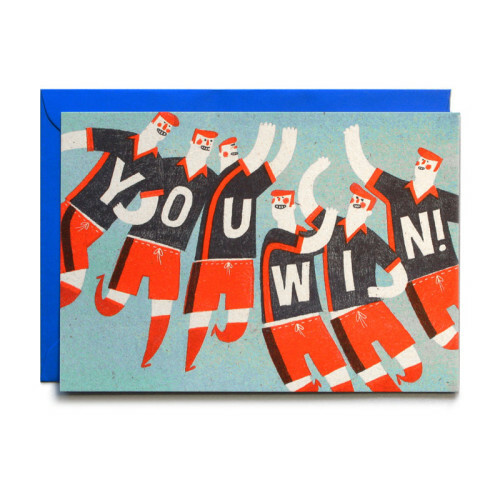 For soccer fans and other winners! Risograph printed greeting card with matching envelope.